Are you frustrated at your lack of growth on Instagram? I often get asked about how to be successful on Instagram. The truth is, I'm still figuring it out. But I'm happy to share what my experience has been so far. I've had quite the journey on Instagram. Back in 2012, I reluctantly agreed to start posting on it based on a recommendation from a friend. In late 2014, my feed got more serious as I started to hone in on my style and really focus on growth. In May 2016, Instagram featured one of my photos on their feed, which garnered me a nice boost in followers and engagement (still under 6,000 with the boost at the time). Later in 2016, Instagram started following me. This seems to be the new version of being a "suggested user." While this has significantly helped my follower growth, unfortunately it has decreased my engagement rate (number of likes & comments per photo). The problem is, many bots are programmed to follow the users Instagram is following, so it makes my audience less authentic. I'm not trying to sound like I'm whining about having nearly 40K followers, but I'm pointing out the fact that you can't always take numbers at face value. There are people with 6,000 followers getting 1,000-2,000 likes per post, which is AMAZING. I have nearly 40K and I only get 400-500 likes on average. Pretty lame, huh? However, I am happy with how my engagement has grown over the years. I love when people comment, and I love answering them back. It does take a lot of work to keep up those relationships, but I think maintaining that conversation is important! In order to build an engaged, authentic following, I recommend using these tips as you grow your account. Without taking that concept quite so literally, think about how you can ensure your audience that what they see is what they get. It doesn't mean that you have to have the same subject all the time, but what is an element that can act as a thread of consistency weaving through your work? 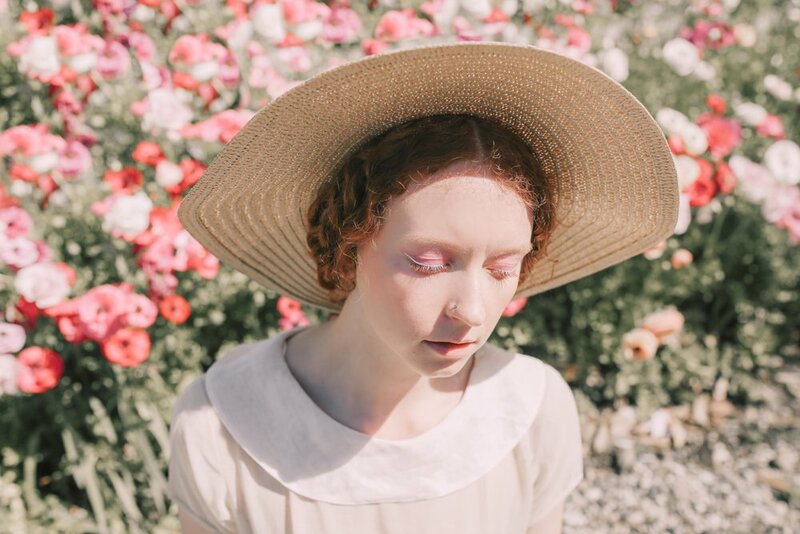 I use the same yellow hat in a lot of my photos, and I have a color palette that I try not to stray from (learn more about how I work with color here). I try to explore repeated themes throughout my work, such as multiples (5 of a Kind, twins, etc.) and older people (a fairly new series). 2) Plan out your grid. I try to be thoughtful about the order in which I post photos. I use the app UNUM to preview my layout; it's really helpful for seeing the "big picture" when you're trying to figure out how to share a bunch of work. I usually try to alternate composition styles - one close-up, one wide shot, one medium shot, for example. I also try to be conscious of the color palette of the photos that surround each other and not inundate my feed with just one color. Often I'll post 3 photos from a new shoot, and then continue to sprinkle them throughout other photos so that I don't spam my audience with all the photos from one shoot. I like to spread out my work, which is why I use UNUM to see what will look good next to each other. 3) Don't post irrelevant content. There's always been a big debate about whether or not to post personal photos to your Instagram. Personally I believe that you should never post personal photos if they don't fit well with your feed. Don't throw in a grainy picture of your cat in between beautiful editorial images - that will instantly make me not want to follow you. If you recently took fancy self-portraits that do fit in well with your feed, sure, go right ahead! But keep your content in line with what your audience is expecting. You can be personal with people and let them into your lives through your blog, your captions, and other social media venues (i.e., Snapchat, Instagram Stories, Facebook), but try to avoid polluting your Instagram feed with irrelevant photos. 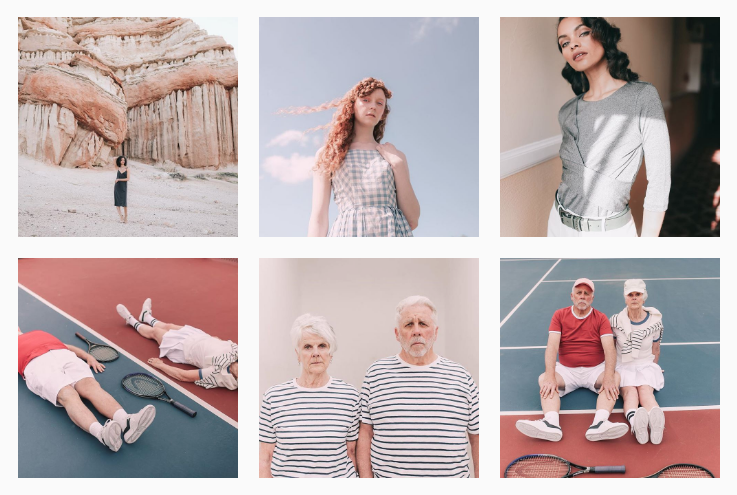 You want to treat your Instagram feed like your portfolio - would you put up a picture of your new shower curtain on your front page slider on your website? 4) Focus on creating amazing content. This one's pretty obvious, but I'm not sure how many people really internalize it. 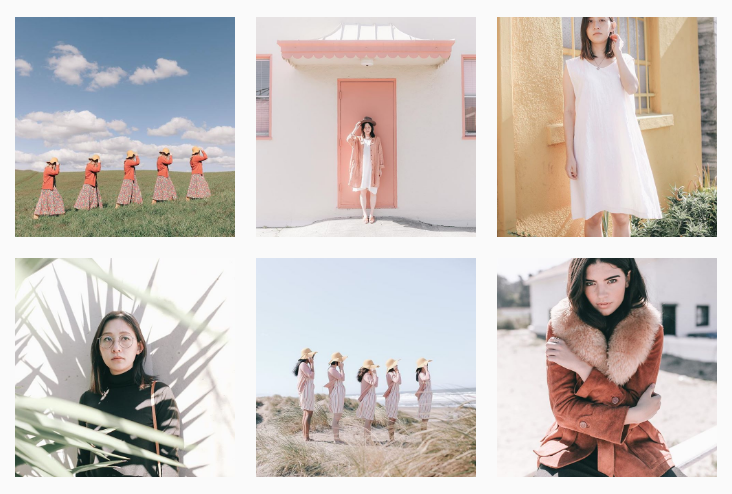 Stop worrying about how to grow your Instagram, and start worrying about how to make your work amazing. It doesn't matter if you're posting 5 images a day if all of them are the regurgitated leftovers of old shoots you don't really care about. Focus on quality over quantity. How can you make every shoot AMAZING? What are the wildest ideas in your head that are waiting to come to life? Master whatever it is you love shooting, and push your limits when it comes to imagining what you can create. Don't be afraid to bring your ideas to life. Then share them with the world! TL;DR Above all, consistently creating great content is your golden ticket to success. Even if Instagram disappears within 10 years, this will always be true. No matter where you're sharing your content, it has to be good, and it has to be consistent for people to pay attention. I'd like to close by saying that no social media platform is worth obsessing over. A lot of it is a constructed reality that takes us away from things that really matter (i.e., spending time with people, self-development, etc.). However, for many of us, social media is the core of our business: it brings us bookings, acts as a portfolio, and spreads awareness about our work. Just like a normal office job, though, it's necessary to set boundaries that allow us to leave likes and followers behind for a while. I'm guilty of fretting over my engagement rate, feeling discouraged when a post gets below-average likes, and spending too much time hovering over my phone waiting for notifications. I'm still working on making myself step away from social media more often. What are your thoughts on social media? Is there anything else you wish you knew about Instagram? If you'd prefer to see how I edited this photo in a video, check out my latest YouTube post! Note: the settings I didn't mention had the defaults that are applied with the preset! I also gave the settings for the original edit, not the live edit in the video. I hope you found this written step-by-step process to be useful! Do you ever have waves of intense inspiration in which you want to make your vision come to life as soon as possible? What if you can? Not to sound like a cheesy inspirational speaker, but what's stopping you? Not every shoot or concept can come to life overnight. My 5 of a Kind shoot, for example, took 7 months to come together successfully. However, occasionally I'm struck with smaller-scale inspiration that I choose to run with. Some of my favorite shoots have come together in a matter of hours. 1) Ksenia. In January 2016, I found Ksenia on Model Mayhem on a Thursday night, wondering if she'd be able to shoot a 1960s/1970s theme at my apartment on Saturday. I already had the clothes that I wanted to use, so I had the basic direction in place. I sent her a message on Thursday, didn't hear anything until Friday night (while I was sleeping! ), as I woke up to a text from her that morning saying that she could be there as early as 10am. I wrote back immediately, saying, "YES! 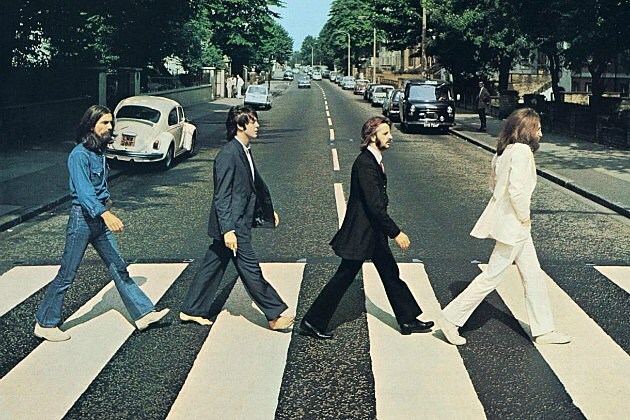 Let's do it." And we did. I quickly headed to the fabric store and pulled a few backdrop options. I shoved all my furniture to one side of the room and hung up the fabric with pushpins. I had the clothes laid out on my bed. And we worked with my apartment and the surrounding area to put together a fun set of images. 2) Anthropologie. In June 2016, I was heading to Washington, D.C. for my best friend's wedding. I don't know why I didn't think of this sooner, but it hit me 4 days before I was supposed to leave that I might as well do a shoot while I'm visiting the other side of the country. I went on Instagram and searched hashtags voraciously: #dcstylist, #dcmodel, #dcfashion – desperately looking for some team members! 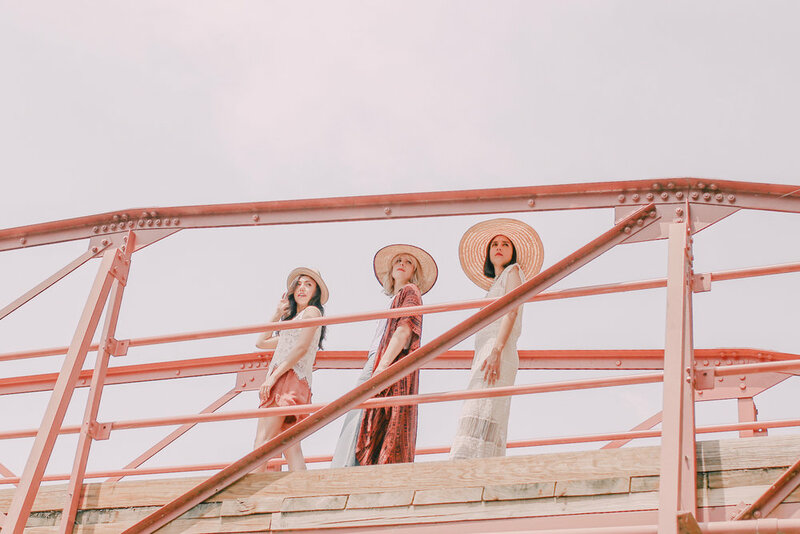 I stumbled across a local Anthropologie account (@anthro_chevychase) and sent them a message, wondering if I could source clothes from them. They replied saying that they could bring a bunch of clothes AND models! A done deal. Not to mention, last minute work for a major brand! We met up 4 days later and had a successful shoot. 3) Laney. I guess a big chunk of my inspiration comes from wanting to make use of the beautiful locations I visit. Every summer, my family and I spend most weekends up in gold country near Angels Camp, California for houseboating and waterskiing. For a long time, I'd been meaning to make use of the beautiful scenery. The Thursday before we were heading up to the lake, I got a rush of inspiration and decided I wanted to do a shoot that weekend. I went on Instagram and searched #angelscamp, plus hashtags for surrounding towns, looking for locations and anything I could find in the area. I came across Natural Bridges, a beautiful cave system just 20 minutes from the lake. Boom. That's my location. Now I need a model...After coming up dry on Instagram, I resorted to Model Mayhem. There weren't many options in this area, but I found Laney, and miraculously she was available to shoot! I took a gold slip I'd used for a shoot in the past and went to Target for a few gold accessories, making the theme "Gold Country." Tuesday night: ask Lydia if she's free (she is! ); ask Amy if she can style (answer's yes!) Wednesday morning: hear a few "nos" from make-up artists and continue to reach out to others; virtually scout locations for rolling green hills and oak trees Thursday: Amy pulls clothes; Inna (make-up artist) is on board! Friday morning: I scout locations in the Dublin/Pleasanton/Livermore area. Find one I like (Del Valle Reservoir) and pass on all the meeting details to the team. Saturday afternoon: We meet at my apartment to prep and then head out to shoot! Don't underestimate the power of taking an idea and running with it. You'll notice that in a lot of these situations, the team is small (often just me and the model(s)), which helps in terms of travel and availability. It also helps to have a large network of team members so that you can find someone who's available more easily. I ask for referrals from people I trust to expand my network. I think great work can come out of last minute planning - sometimes the less details and time to think, the better! What's your experience with last-minute shoots? Have they been successful for you? Or are you more of a long-term planner? For the past few months, I was really struggling with the time it was taking me to edit my photos. On average, I shoot 1500 photos per 2-3 hour session, and I was starting to feel overwhelmed when I imported such a huge set into Lightroom. I could try to shoot fewer photos and be more intentional about the shots I do capture, but I feel as though I've already cut back on that and what I'm doing works for me. What I'm about to share may not be news to you. I'm sure many of you already do this! I just caught on late. ;) I actually had another photographer tell me to do this years ago, but I was too stubborn and didn't listen. For those of you who are still plugging away through an endless gallery, I think this trick will help you. All I did was switch from rejecting to selecting. Is your mind blown yet? The keyboard shortcut for rejecting an image is X, while the one for selecting (picking) a photo is P. Somehow it is psychologically easier to pick the photos that I definitely want to keep rather than dispose of the ones I don't want. So, I just cycle through my gallery and pick my favorite shots, and then I enter a filtered view where I only see the shots I've picked. You can do this by clicking on the little flag in the bottom right-hand corner of Lightroom. That number drops to 160 photos, which is a much more manageable number to visualize when you're sitting down to edit. Picking the photos I want usually takes an hour or less. Then I'm left with 100-175 photos, depending on the shoot. That number usually drops a bit more as I edit them, too. It seems WAY easier to edit only 100+ photos vs. 1700+ (even though I would be rejecting many of them along the way). It also helps me be more selective, which is something I'm really working on since I tend to keep way too many shots. I went from spending 4-5 hours on a set to only 2-3. It feels so empowering to suddenly have much more time on your hands because you discovered a simple trick to reduce time spent at the computer. How do you speed up your workflow? Do you reject or select? Recently I went to a small-scale portfolio review hosted by Professional Photographers of the Greater Bay Area. I was able to speak with 4 different reviewers: an art buyer from SFMOMA, editors at Wired Magazine & Via Magazine, and an art director for Banana Republic. This was my first time attending an event like this, and I wanted to share a bit about what I learned from the experience. Too many samples of your work is better than too few. Being the rule-abiding person I am, I obeyed the instructions to bring between 10 & 20 images for review. I think I had 18 in my portfolio book that I ordered from Blurb, specifically for this occasion. I wasn't sure what the scale of the event was going to be - I was expecting a hundred people. In reality, only 5-8 other registrants showed up! This meant that there was more time than expected to spend with each reviewer. So they flipped through my meager samples of my work in a few short minutes. I know for the future that having a large portfolio book is better - they can cut me off if need be. Include a wide range of content and genres. I don't have any studio work in my portfolio. Mainly because I don't really do studio work, but I do have some high-quality samples I could show. The editor at Via Magazine said that even if she's sending people to cover a story with natural light (i.e., food photography at a restaurant), she still needs to see that they know how to work with artificial light. I also included two shoots that I thought would demonstrate that my work was thematic (5 of a Kind & False Twins), as well as other similar fashion & portrait work, but I think in reality they didn't want to see so many of these and would have preferred a wider range of work. This was a bit of a wakeup call for me. 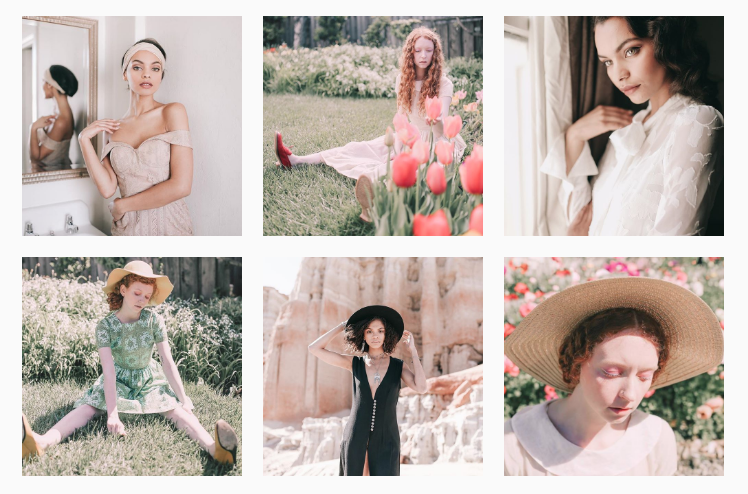 I am all about consistency and producing a cohesive body of work, but I think when it comes to events like this - where you're trying to impress different industries - you need to have multiple sections that show your talent in different areas (food photography, fashion, studio work, etc.). Digital vs. print. I brought a print portfolio book (printed on book pages, not individual prints in a folder), and looking back I wish I would have brought digital. Instead of spending the money on high quality prints that you have to update all the time with new work, I'd say you'd be better off getting an iPad or other digital tablet to showcase your photos. We are so used to seeing things digitally these days that I think it's become standard within the industry to view digital portfolios. Of course, this is individual preference, but I think from now on I'll be going with digital. That way I can swap out last minute selects and easily skip over irrelevant work. Be prepared to be critiqued. None of the reviewers shot my work down, but none of them really oo'd and ahh'd at it either. I don't know if that's just the nature of these events, but here I was, sharing what I thought was my best work of the year, and they seemed thoroughly underwhelmed. Part of this, I'm sure, was that my work is kind of between genres right now - a combination of fashion and fine art. It's not high fashion, it's not travel photography, it's not well-defined. These people aren't there to pat you on the shoulder and say, "good job." They're there to tell you what works for them and what doesn't. Some people identified my least favorite photos in the book as their favorites. One person said the lighting looked flat in one shoot. Let's just say I didn't emerge from this event with an inflated ego! Come with questions. This almost goes without saying and is true of any networking event, but preparing yourself by knowing the background of everyone you'll be talking to and having specific questions for them will help you avoid awkward moments of silence and walk away with more valuable information. For example, I didn't look up one of my reviewers, and it turned out she had also gone to UC Santa Barbara, which would have been some great common ground to start on. I often felt like I didn't know where to drive the conversation because I was running out of questions. Don't expect the reviewers to hold the conversation - you're there to pick their brains. Get your reviewer's direct email address. I walked away with the direct email address of everyone I talked to and followed up with a thank you and some questions, to help them remember me for future networking purposes. This is key! You might walk away confused. I expected to leave the review with a clearer direction of where to go with my work, but in fact, that sense of direction was just more muddled. After talking to an art buyer, a travel magazine, and an art director, all with different perspectives, I was a bit overwhelmed with all the paths there are to take. Should I start doing more studio work even if I don't enjoy it? Should I try to sell my prints to galleries? Should I accept travel work even if that wasn't what I envisioned myself doing before I got here? I'm not sure. While this variety of choices is a bit overwhelming, it's also reassuring. I'm inspired to become more of a jack-of-all-trades - at least for portfolio purposes - but I think I'll still stick to the niche that inspires me most: fashion/people/lifestyle (and wherever my work fits in within that realm). Questions? Email me at hello@dvilladsenphotography.com. I appreciate any feedback you may have! Have you ever been on a shoot when a property owner or ranger approaches you and asks what the shoot is for? Or straight up says you can't be shooting there? This happened to me a few weekends ago. I had a big shoot with a local designer for her fall lookbook, and when we decided on a state park as a location, it didn't even cross my mind to try to get a permit (an error on my part). We had 5 models all in nice dresses - not to mention we're driving up in an RV full of clothes that's branded with the store name - so it's not exactly easy to be inconspicuous. Right before we were going to start shooting, a ranger pulled up to us and got out of his car. "Are you going to be camping tonight?" he said, motioning to the RV. I breathed a sigh of relief, thinking that's all he was curious about. The designer clarified that we were just out for a cruise on the mountain. I kept my camera in my bag. His eyes moved to the 5 models, all standing there in casual dresses. "Is this a photoshoot? What's it for?" In a situation like this, there's really only so much you can do. In this case, we tried to minimize what we were doing by portraying the shoot as casually as possible. He basically said that he could technically fine us if we were to proceed with taking photos, but that he was just going to drive off and we could consider it a warning. So he never openly condoned it, but rather turned a blind eye, just because he happened to be nice. The best thing to do would be to learn from my mistake and just get a permit to begin with, but often these are quite expensive. For family/individual portrait photography, they're only about $100 a year for state parks in California, which, I'd say, is definitely worth getting if you're working with families/individuals often. But as soon as you mention the word "commercial," that number skyrockets up to $750/half day or $165/hour in certain parks! Unfortunately, the reason that state parks and rangers are starting to crack down on this is probably due to the actions of a few select individuals. Many of us do treat state parks with respect, as they should be treated, but some people feel entitled to take over the space in a destructive manner for the sake of their photoshoot. The line between commercial and portrait work can be tough to differentiate, but the general rule of thumb is that if you have a model who is showcasing a product - whether that's clothes, accessories, cars, or toothbrushes - or just the product itself being posed on a stump or a road, it's considered to be commercial. Many people believe that because we pay taxes to support the upkeep of our parks, we should be able to use them as we see fit. The state parks believe that if you have any chance of profiting off of them - whether that's now or eventually - without them getting a cut, you're taking advantage of them. I'm not here to provide legal counsel on this matter, or to give my opinion on how things should be. I do want to share what I've learned from my experience encountering rangers while out on a shoot without a permit. 1) Slim down your gear. I am thankful that I rely on minimal gear in situations like this: I use one camera body and one main lens and store them in a forest green camera bag that looks like it could just be an everyday bag. I do have a reflector, a changing booth, a few other lenses that I'll pull out occasionally, but I can make do without them 99% of the time. Carrying around huge lenses with battery packs on your camera and setting up lights and reflectors is a definite red flag and is sure to raise questions. 2) Prep your team. Working with a big team can create a lot of commotion. Before we arrive at the location, I prep my team, telling them that we don't want to cause a scene by being too loud or disruptive. Pulling out a big clothing rack, or having heaps of makeup bags on the ground is NOT what a ranger wants to see. That screams commercial. I encourage my team members to work with one look at a time and carry minimal kits for touch-ups. I also ask them to wander around while we shoot, so it's not like we're all obviously staring at a model for 10 minutes. This makes us more discreet. The more you can look like you're just on a hike or a picnic, the less likely you are to stick out. 3) Student project? I'm lucky that my 23-year-old self can still believably pass as a college student. If a ranger asks what the shoot is for (especially if it looks commercial), saying it's a student project is probably the response you'll have the most success with - no matter how old you are. (Many people enroll in art/photography classes when they're older!) I've used this line several times and have never been questioned further. It helps to prep your team on this story as well so that you're all on the same page. 4) Be respectful. Above all, be respectful. This applies to two situations: respecting the environment and respecting authority. This should go without saying, but don't leave trash everywhere or trample a bunch of flowers - be kind to the environment you're working in! And if a ranger does approach you, it's not the time to be self-righteous and argue with them. The more you show that you're willing to work with them, the higher the chance they might be willing to work with you. If they ask you to leave, respect their choice and move on. Choosing to ignore them may result in getting fined or threatened with "police action." It's good to have back-up locations in case this happens. I'll conclude this by saying that if you get a permit, you can go crazy - in a non-destructive manner, of course. As soon as you have written permission, you can bring as much gear as you want, and you'll sleep a little better the night before the shoot while your brain can dream of golden light and composition rather than excuses to tell the ranger. So, when possible, just bite the bullet and get a permit. Have you experienced something similar while shooting in a state park? Share it in the comments below! Identify local feature accounts. 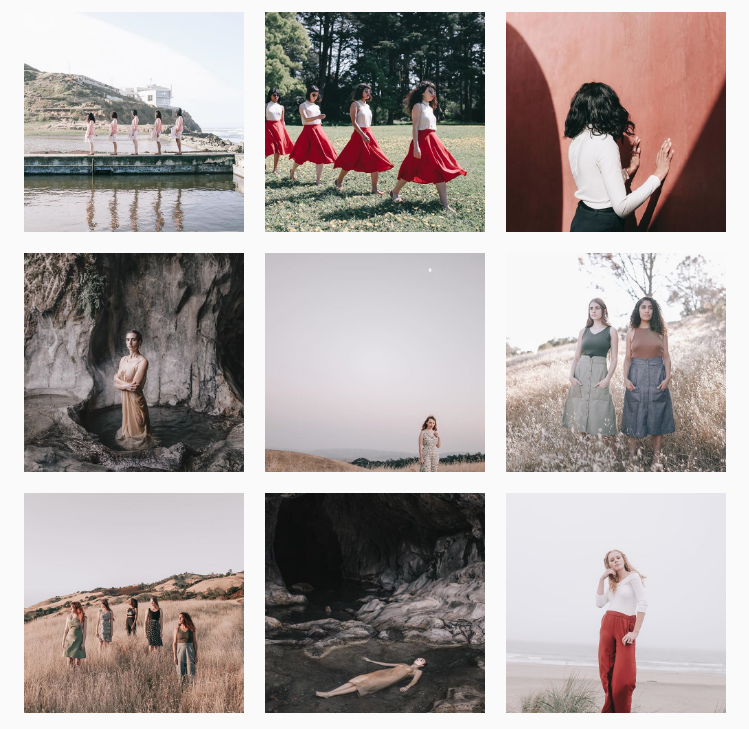 In the Bay Area, there are several accounts devoted to featuring local photographers and/or models. I have a list of these that I try to check on a regular basis: @bayareamodelfeature, @igerssf, @makesfportraits, etc. Follow local modeling agencies. First of all, agency-signed models tend to be great! They are often experienced and know how to handle themselves in front of a camera. But even if you're not looking to work with agency models, I recommend checking out "photos of" the agency. Many aspiring models will tag the agency in their photos hoping to be noticed and potentially signed. This is a clever way to find some local people who clearly want to be in front of the camera, and maybe they have just the look your searching for. See who's modeling for other photographers. This suggestion overlaps with the two above, because you're bound to be checking out photographers' accounts anyway, but I've found many models just by stalking admiring other photographers. Lead yourself down a trail of clicking on photos that are aesthetically pleasing to you and checking out that photographer, and then check out one of the local photographers who has commented on that post, wondering where the location is. You never know where you'll end up! "Tag a friend who should model." I experimented with putting this as a caption on one of my Instagram shots, and it was really successful. First of all, people are more likely to comment a friend's name than their own (e.g., if you were to say, "I'm looking for models! Comment if you're interested"), and second of all, they might suggest people who would never consider themselves models but are stunning and would do well in front of the camera. This also promotes engagement and will possibly earn you some new followers! These tips also work when you're traveling! Just by searching a few tags like #xlocationphotographer, #xlocationmodel, or #xlocationstyle, you'll be able to discover what the local photography scene is like. Craigslist: I run an ad pretty much constantly for models & stylists - the two categories of team members I always have trouble finding - in the "talent" or "creative gigs" sections of Craigslist. This ad generates a steady stream of new faces coming into my inbox daily. It is true that many of them aren't exactly what I'm looking for, but I'd say I get 1-2 models a week I'd love to work with. I specify the kinds of projects I'm interested in and link to my portfolio so they can see if our styles are compatible. I also ask them to send me photos of themselves and/or a portfolio. Model Mayhem: As I've said in the past, I have mixed feelings about this site. Because anyone can make a profile, there's a huge volume of people to sort through. But I've found that specifying the parameters that matter to you (height, for instance) helps your search be more successful. I also recommend checking it once a month or so and sorting by "newest first" to see who has joined. This is an especially useful tool when you're shooting out of town and have no idea where to start. Local Facebook groups: Honestly, I haven't had much luck with these in my area, but it's worth a shot to see what kinds of groups are available near you - try searching "[x location] Models" in "Groups" to see what comes up. This group based in the San Francisco area is one of the largest I've found, but I think I've only used one model from the group since I've been in it. I find that the same people always respond, and they're rarely what I'm looking for. Being brave: If you're feeling bold, approach people in social settings, or on the street - within reasonable situations, of course. This has the potential to come off as being creepy, especially between two genders, but I think you can pull it off in a nice way. My personal experience with this: When I was at school in Santa Barbara, I kept seeing this strawberry blonde girl with AWESOME style all around campus. She was always wearing cool vintage outfits and bold looks, and I happened to meet someone who was friends with her on Facebook. Using the mutual connection as a starting point, I creepily messaged her and explained how I thought she had amazing style and would love to shoot her sometime. She was not as creeped out as I expected and we shot together a few days later! I've also approached someone on the UC Berkeley campus where I work, complimented her outfit (asked her where she got her dress), and said I was a photographer and I'd love to shoot with her sometime. I happened to have a business card, which I handed her, and she ended up emailing me! We have yet to shoot, but still. Go for it! I hope that's enough to get you started. Do you have any additional resources for finding models? Leave a comment below! 1) Follow me on Instagram. 2) Subscribe to my YouTube channel. 3) Like my Facebook page. 4) Send me an email at hello@dvilladsenphotography.com to express your interest in entering. It's as easy as that! Only a few more days left to enter - entries close September 4th, and the winner will be announced on September 9th. VSCO Film Editing Tutorial | VSCO Film Pack 6 + Lightroom Take a look at some edits using VSCO Film Pack 6 (Preset 400H+1) on photos of the beautiful California Coast. All of these photos were shot on my Canon 6D with a Sigma 35mm 1.4 Art lens. For free tips and other photography resources, subscribe to my email list! To give you an idea of the type of content you'll receive, my most recent email featured a tip on how to achieve a natural expression from your models. Interested in receiving free tips and resources? I'm starting an email newsletter! If you'd like to be emailed when I'm requesting photos for another community edit, or when I'm announcing new online learning materials, go ahead and fill this out with your email address! As I say in the video, I'd like to make this newsletter as useful for you as possible, so I hope that each email will be packed full with resources and interesting content. Community Edit: Editing your photos live! VSCO Film Pack 6 + Lightroom Editing Tutorial Thank you to those of you who sent me your photos to be edited! It was really interesting seeing the results of the same preset and style being applied to a variety of photos. I will definitely be doing this again in the future, so stay tuned for the next community edit. Want to know about the next community edit? Subscribe to my email list!